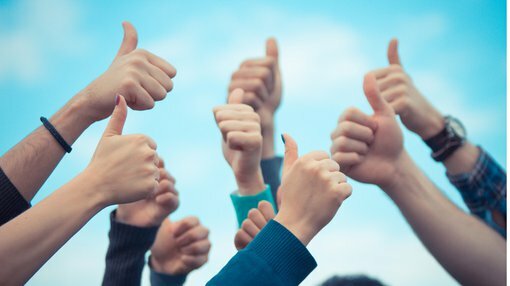 MinRex Resources (ASX:MRR) today revealed it has received an encouraging preliminary desktop report on the Pacific Express project from its geology consultant. This report is part of a broader plan to fast-track due diligence on MRR’s proposed acquisition of three highly prospective cobalt-nickel-scandium project areas in NSW and WA. This is the first phase of the due diligence process, which MRR will factor into its decision-making to determine if it will proceed with the acquisition. Beginning with the Pacific Express project in NSW, this preliminary desktop work has uncovered legacy drill-hole results with encouraging intercepts up to 6,300 parts per million cobalt, 159 parts per million scandium and 1.86 per cent nickel. Background research has confirmed that Pacific Express is a laterite hosted nickel-cobalt project with scandium credits. The project also contains a historic JORC (1996) reported Indicated Resource of 4.6Mt at 0.61 per cent nickel, 0.09 per cent cobalt, 40 grams per tonne scandium. 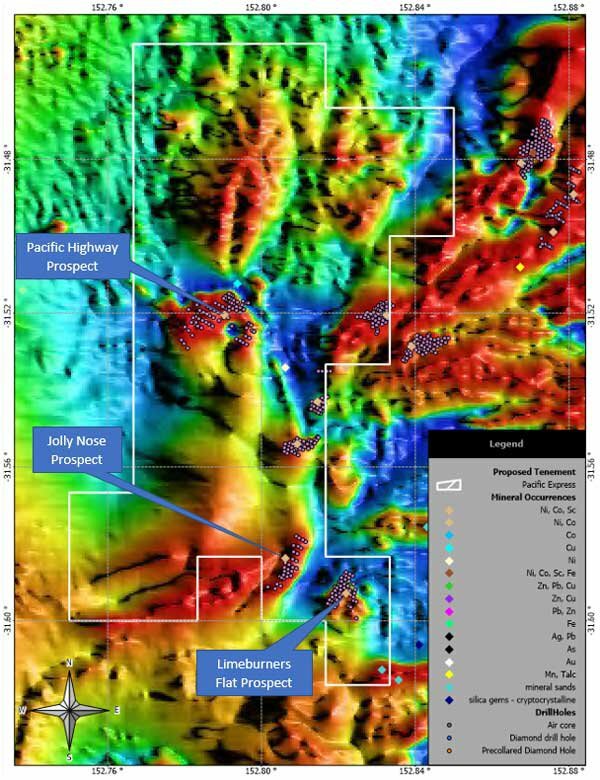 Intriguingly, legacy results also demonstrate extensive mineralisation across the drill-holes, based on these intercepts: 0.11 per cent cobalt (0-26m); 2 metres at 145 parts per million scandium (6-8m) and 18 metres at 0.86 per cent nickel (0-18m). This aligns with findings from geophysical images that identified three target areas within the tenure. Data interrogation work is now well underway to update the historic Indicated Resource to comply with the JORC (2012) code. Correspondingly, the team’s underlying strategy is to incrementally expand the Resource through exploration activities, which could identify further target areas within the tenure. 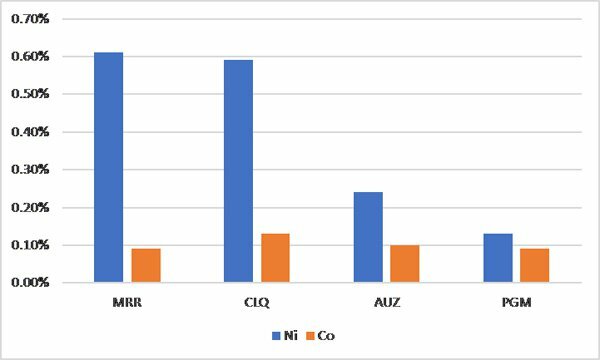 Surprisingly, Pacific Express’ 0.61 per cent nickel grade is potentially one of the highest in NSW, compared with other nickel-cobalt laterite deposits — for example, 0.59 per cent for Clean Teq (ASX:CLQ), 0.24 per cent for Australian Mines (ASX:AUZ) and 0.13 per cent nickel for Platina Resources (ASX:PGM). Given this, the Pacific Express project emphatically stands out. Desktop work on Pacific Express will now move on to the next level, while preliminary reviews on the WA projects — Knight and Dragon — are scheduled to kick off shortly. “The board has asked the geology team to expedite the desktop review for the Pacific Express project, particularly work on updating the legacy resource to comply with the JORC (2012) Code. Overall, the board is delighted with the positive start to the due diligence process and looks forward to updating shareholders on progress in due course,” added Durack.